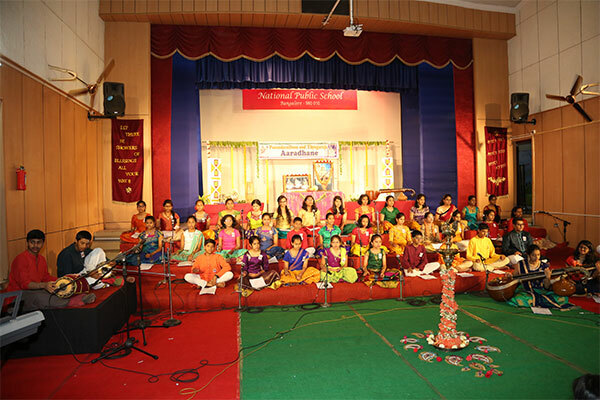 A serene ambience pervaded the auditorium, as notes of classical music spread an air of divinity and culture for over an hour! 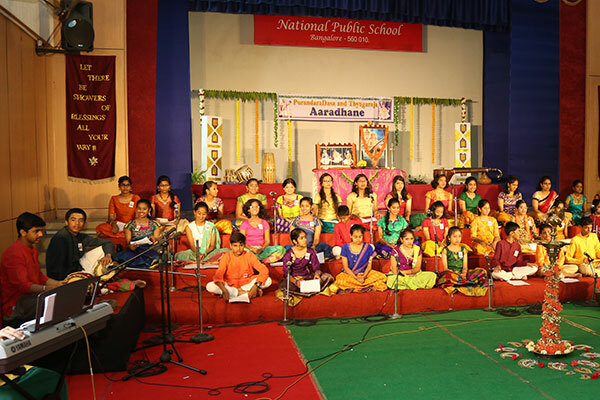 The inaugural session of Sri Purandaradasa and Sri Tyagaraja Aradhane was organized in NPS-RNR, with 45 singers accompanied by 15 instrumentalists who played the veena, flute, key board and percussion instruments. 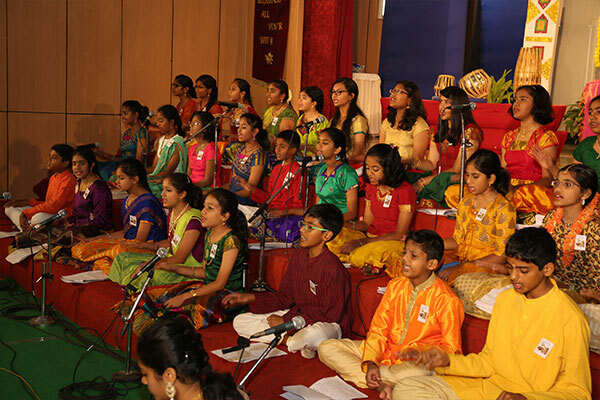 An auspicious beginning with the lighting of the lamp set the mood as members of the audience were encouraged to sing kritis along with the students. 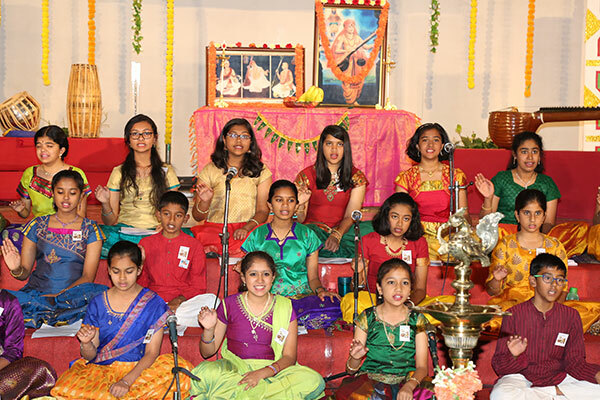 A total of 7 kritis were rendered in perfect unison and harmony that left the audience spell bound. 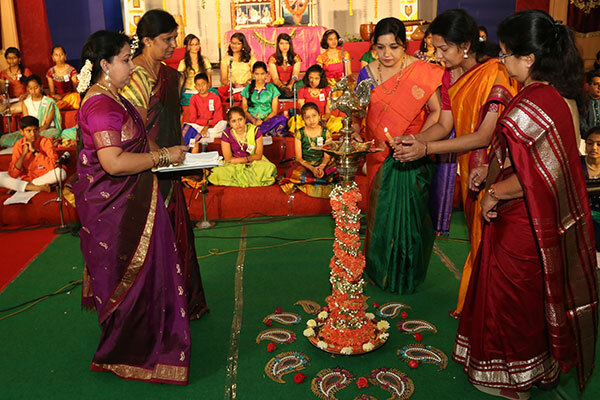 Principal Ms Malathy Narayan appreciated the long hours of practice put in by the students and the support provided by parents towards the success of the show.